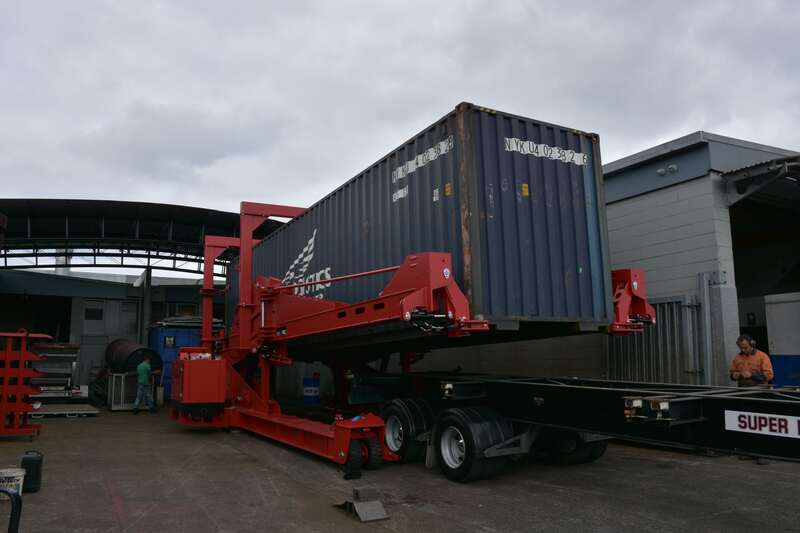 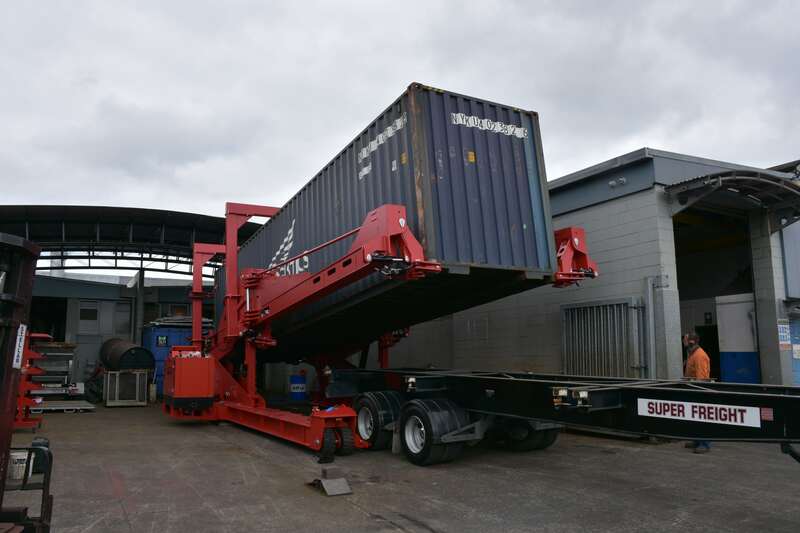 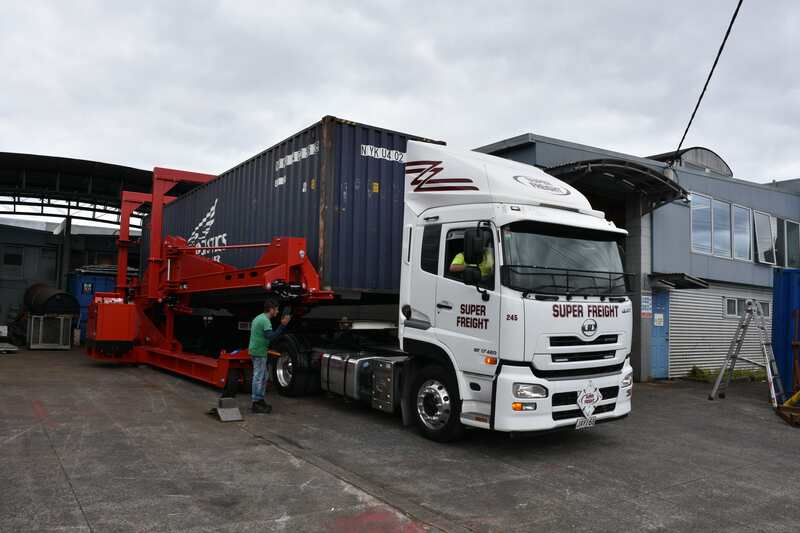 EMF has manufactured and designed a range of Container Loaders and Unloaders for A-Ward. 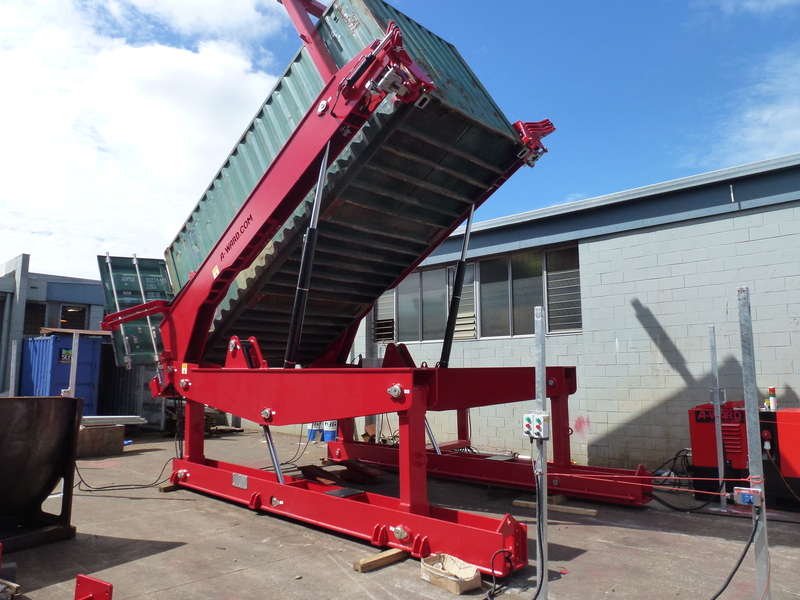 A 20 ft Loader made for A-Ward. 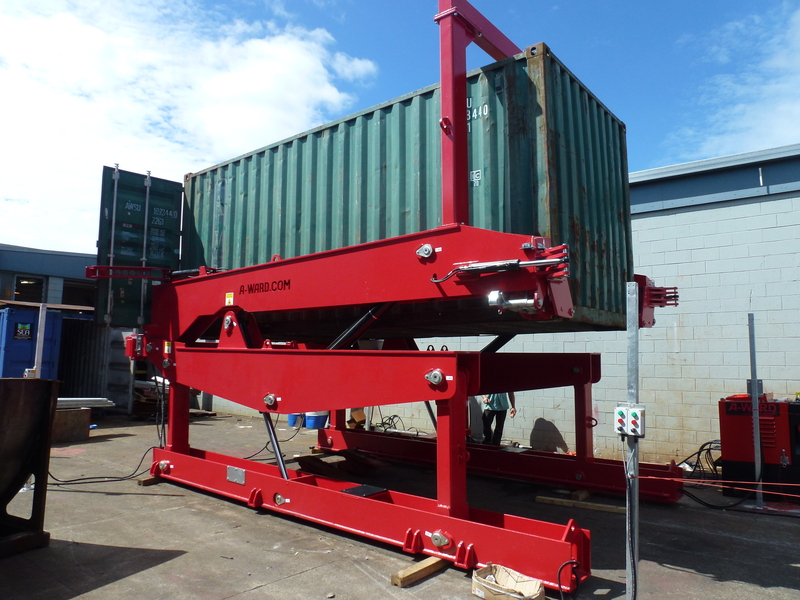 Used in the scrap metal industry to load shred and short iron. 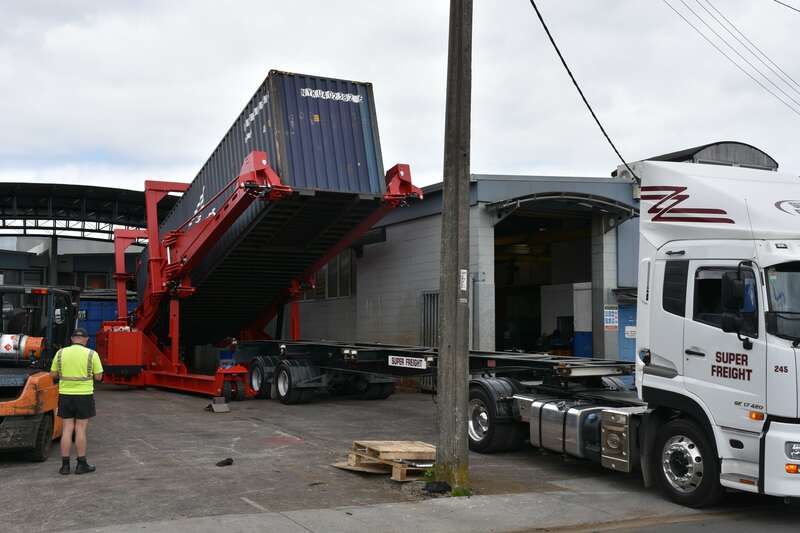 A 20ft Raise and Tilt Unloader. 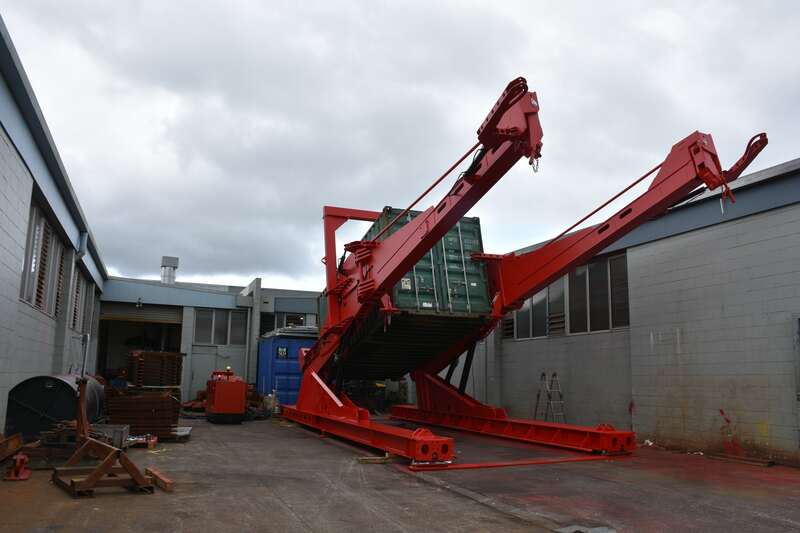 A 2040 Loader. 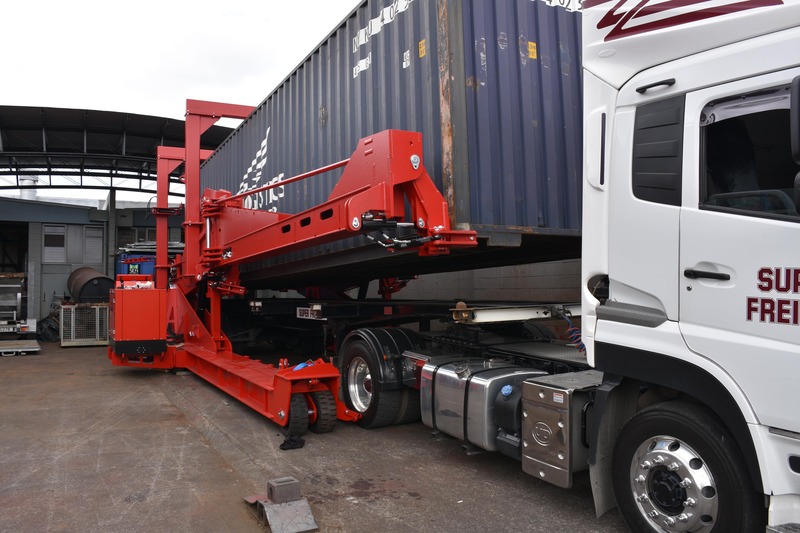 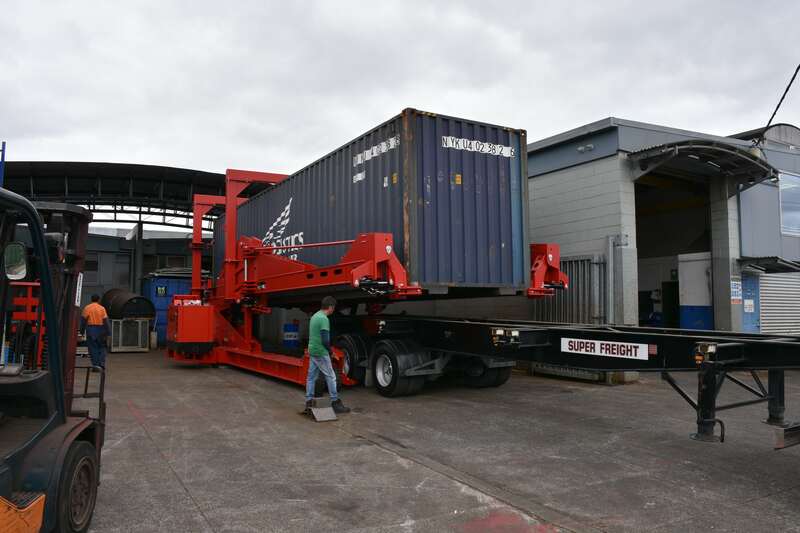 This has the ability to load 20 or 40 foot containers and can go to a 70 degree tilt. 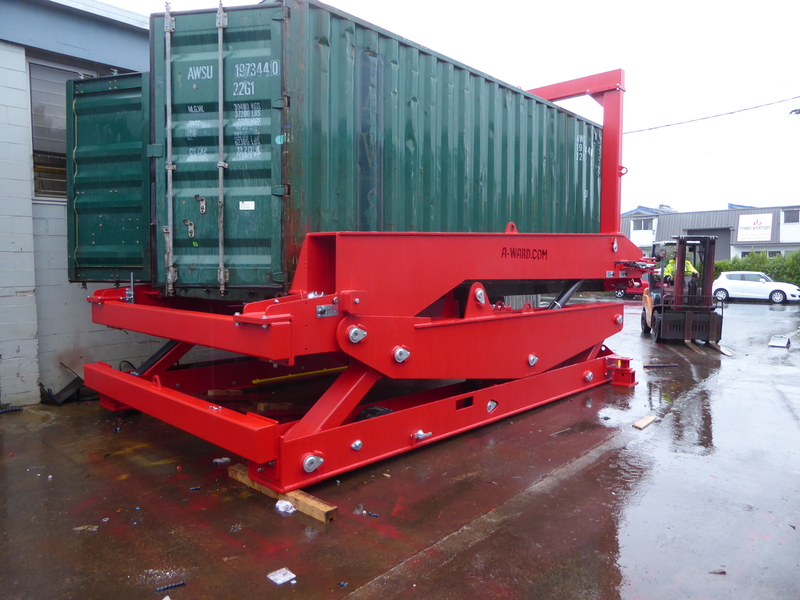 A 20ft Raise and Tilt Unloader in the raised position. 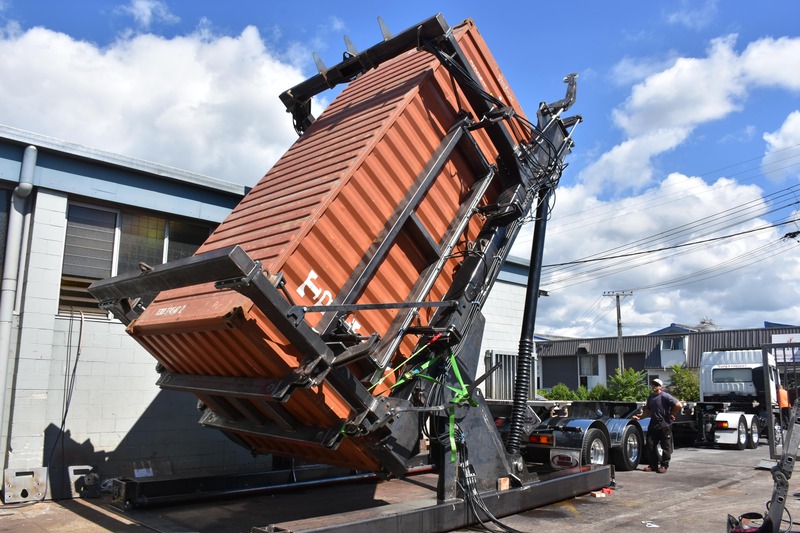 A 20 ft Loader with side compression and a rear brace to prevent container damage. 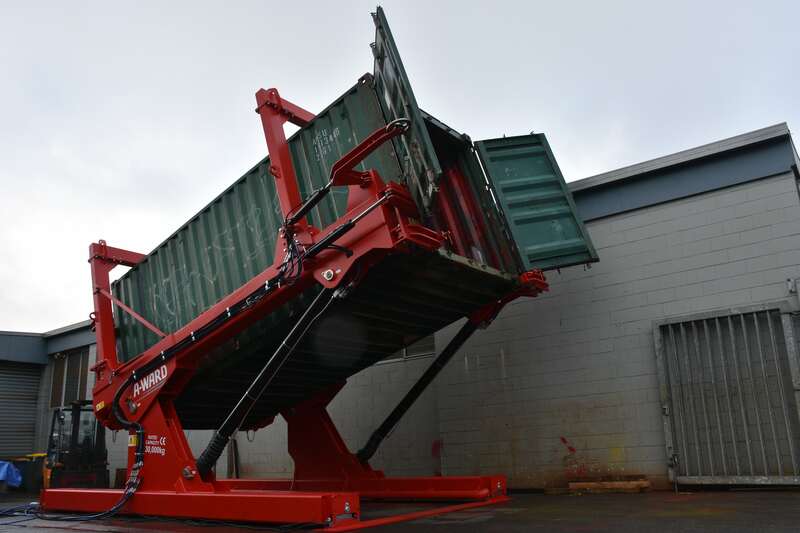 A 20ft Raise and Tilt Unloader in the raised and tilted position.